When time is taken to create an article, sometimes the result is a layout and structure that a publisher would like to re-use for other pieces of content. 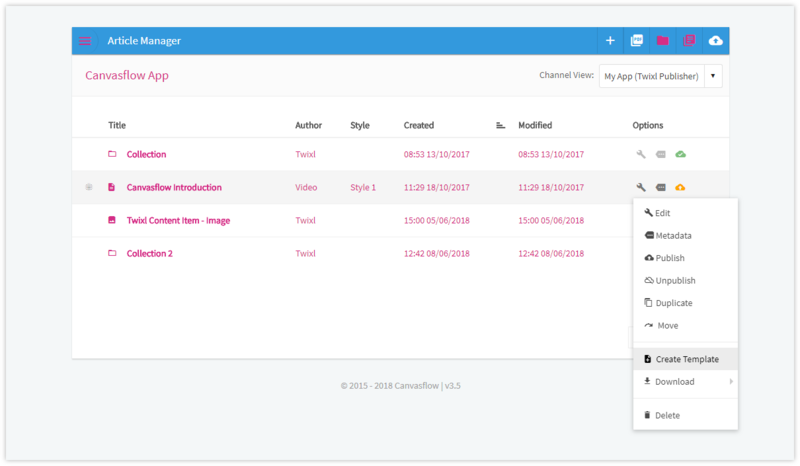 With Canvasflow it's easy to do just that, by creating a template straight from an existing article. The new template can now be found in the Template Manager under the same name as the article which was used to generate it.